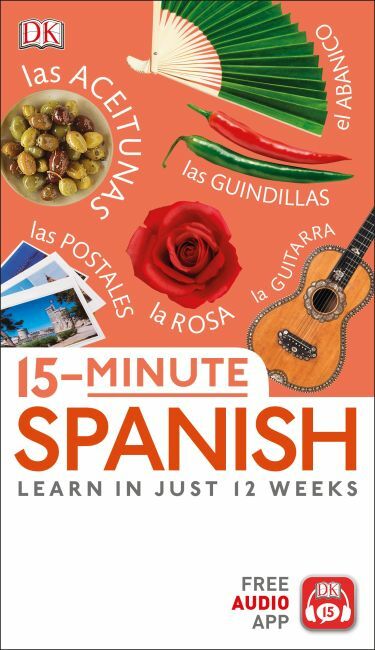 This updated language-learning guide, with a brand-new free audio app, helps you learn to speak Spanish in 15-minute visual lessons themed around common situations. With clear photography and illustrations, 12 themed chapters are broken down into 15-minute daily lessons that combine vocabulary and grammar essentials about a range of themes, from socializing to doing business for the most user-friendly, accessible language guide on the market. The audio app, available for Apple (from the App Store) and Android (from Google Play), enables you to hear words and phrases spoken by native Spanish speakers. Download the app and scan in the book's barcode. Once you've unlocked your book and downloaded the audio files, you can enter any page number to find the word or phrase you're looking for to help improve your pronunciation.